September is National Preparedness Month, and in the wake of the devastation left behind by Hurricanes Harvey and Irma, as well the approaching Hurricane Jose, the importance of being ready before a disaster is gaining national attention. Since its launch in 2016, BeReadyLI.org, a collaboration between United Way of Long Island, PSEG Foundation, PSEG Long Island and 2-1-1 Long Island, has worked to help Long Islanders prepare before, during and after disasters by encouraging families to take simple steps that help ensure their safety. 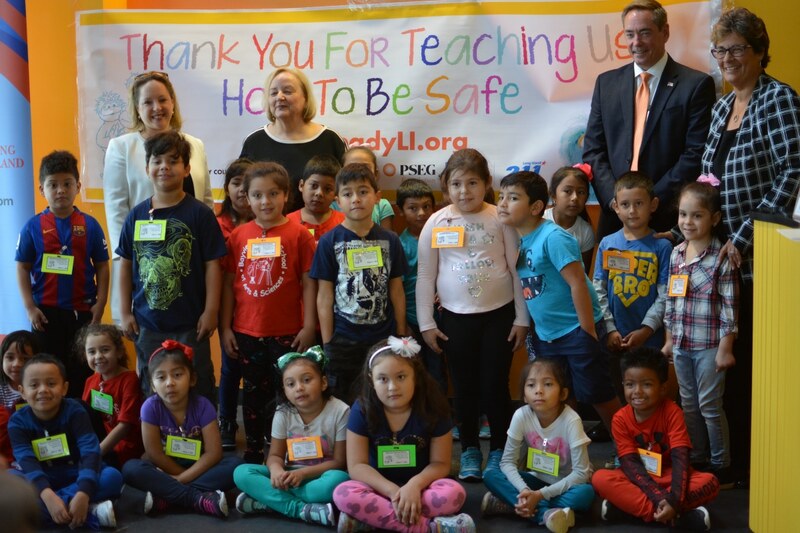 In an effort to educate family members of all ages, BeReadyLI expanded their reach with the launch of their Children’s Workshop, an interactive lesson for classrooms and assemblies offered to students in preschool through second grade teaching them the basics of emergency preparedness in a fun and approachable way. In less than a year, the BeReadyLI Children’s Workshop has helped more than 10,000 young children learn the importance of knowing their whole names, and the whole names of their caregivers, how to recognize who can help them in an emergency and what they should put in their emergency ‘go packs’. Children are sent home with an activity booklet and flyer so that their caregivers can continue educating the entire family about the importance of preparedness. Beginning September 19 through September 30, to further encourage families to prepare together, BeReadyLI is asking Long Islanders to post an image on the BeReadyLI Facebook page showing how they prepare with their families, friends or even pets in preparation of an emergency, with an opportunity to win tickets to Sesame Street Live and a gift card. For more information on the Children’s Workshop, and how to request it at your school visit bereadyli.org/bereadyli-childrens-workshop. To learn more on how you can prepare for an emergency, visit BeReadyLI.org or 211li.org. Photo caption: (from left) Rebecca Sanin, President and CEO of The Health & Welfare Council of Long Island, Suzanne LeBlanc, President of the Long Island Children’s Museum, David Lyons, VP of Business Services at PSEG Long Island and Theresa A. Regnante, President and CEO of United Way of Long Island join 1st graders from Bayview Avenue School in Freeport at a BeReadyLI Children’s Workshop, helping them learn how to be prepared for an emergency.